Whether you're starting a new business and need a modern, professional website built from scratch or you have an established company that could use some help with online promotion, Akita Media has got you covered. Jenna Nicholson, owner of Akita Media, provides a variety of online services, including modern web design, digital marketing, social media management, web content creation and more, to businesses of all sizes. Jenna utilizes her years of experience in journalism, public relations and marketing to help businesses boost brand awareness online and cultivate a community of loyal customers. From creating memorable Squarespace, WordPress and Wix sites to building targeted ad campaigns across social media and Google, Akita Media will make your company stand out from the crowd and leave a lasting impression. 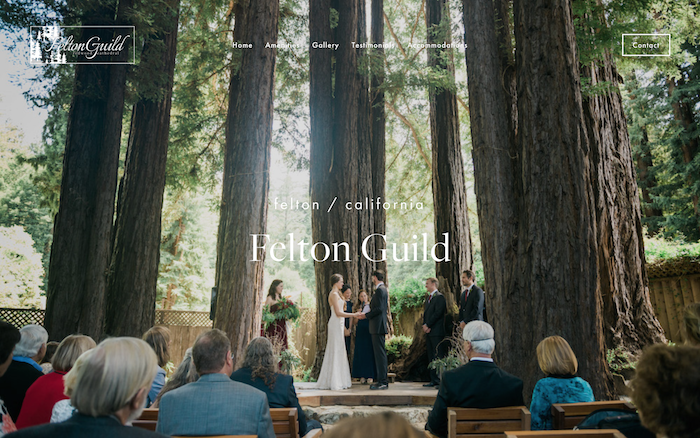 Felton Guild is a one-of-a-kind wedding venue, featuring a majestic redwood cathedral, located in the Santa Cruz Mountains. Lester Estate Wines are grown at Deer Park Ranch, an award-winning estate vineyard in Aptos, CA, featuring an intimate Tasting Room. Guardian Tree Mobile Kitchen served up nutritionally dense, locally sourced, paleo-friendly fare in Portland, Oregon. 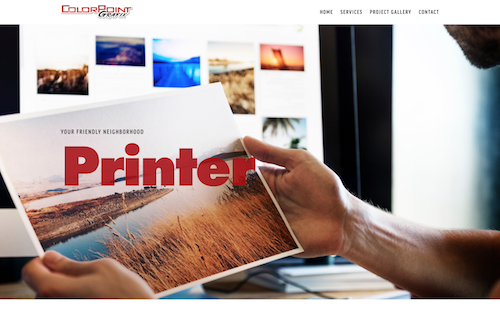 ColorPoint Grafix specializes in the creation of high-quality business and personal printed products, including banners, labels and more. Thank you for considering Akita Media! We'd love to work with you. Please fill out the form below and let us know how we can help take your business to the next level. Your first consultation is free.